I had a really hard time getting pregnant with my son and tried everything. Literally. Acupuncture, peeing on sticks, boiling “tea” that stunk up the house and even allowing a giant Maori healer to “rolf” my uterus (from the outside, haha. Even at the height of my insanity I wasn’t that crazy :)). I couldn’t figure out a way to practice non-attachment at the time, I just found myself intensely missing a person I hadn’t even met, a person who existed only in my mind and in my heart. Eventually (after a year of needles, tea, sticks, tears and said rolfing session, I went to a fertility doctor who discovered my estrogen levels were a little low, and presto, the bigger kid in this picture started materializing. If you had told me during that year to try to relax and trust that the exact right human was going to show up at the exact right time, I wouldn’t have believed you or been able to do that. I really thought I had to keep “doing things” to “make it happen”, and maybe I did. Maybe he would not have shown up if I hadn’t tried everything known to woman to get there, or maybe he would have, or maybe everything was required. I don’t have any regrets because that kid seems to me to be the only kid who could ever have been my son (my sun), and that girl with him? She showed up with no help from tea or needles or giant Maori. When I got divorced I was devastated and heartbroken. When there are children in the picture I don’t think it can be any other way. It was not the vision I’d had or wanted, but it became clear to me that it was the only path forward where there could be love and nurturing for everyone involved. It was not easy and it has not been easy. Letting go of the picture of How Things Should Be or how you want things to be for yourself and your children is so hard, and trying to trust that a new path will emerge is also really hard. I credit my yoga practice for any strength and grace I was able to muster through all of that heartache, and I know for sure that’s the thing that kept me sane and strong and able to be a good mama to these small people who have little protection in the world unless we, as parents, figure out how to move through our grief, rage, disappointment, bitterness and all the other feelings that come up (especially when they involve the other most important person in our children’s lives, namely, their other parent), without allowing it to spill over onto them. That is also hard, and for me, again, I credit having been a child of divorce and knowing what that’s like, my yoga practice, therapy (highly recommend) and great, supportive, strong and understanding friends to help me through. I’ve been a single mom for eight years. A few years ago after I’d been trying to navigate the post-divorce, how-do-you-date-when-you-have-children jungle, I thought, “Well, maybe giant romantic love is just not going to happen for me.” It was sort of surprising and disappointing because I’ve always been a huge romantic, but I thought, “Well, that might just not be in the cards for me, and that’s okay. I have these amazing children and work I love and my life is beautiful and fulfilling and full of all kinds of love. I can be okay this way.” And I did my best to let go of that picture of romantic love, too. Two-and-a-half years ago I met a man at a bar (feel free to laugh) and he said all of these interesting and funny things and four hours went by in a snap and we didn’t even eat. Last Friday night he proposed to me and I said yes because I am not dumb. We had talked about the idea of getting married a couple of months ago, and even that was a shock to both of us. Neither of us thought we’d get married again. I thought living with someone was as far as I’d go. When you fall in love hard, though, this is what can happen. Your vision changes again. We checked in with our kids about the idea, I talked to my two, he talked to his three. We didn’t want to go forward unless there were thumbs up all around. If someone had said to me years ago, “try to trust that there’s a 6’3″ Englishman out there who’s going to show up in your life with his giant heart and huge brain, his kindness, loyalty, affection and wicked sense of humor and turn all of your ideas about what’s going to happen in your life right on their head,” I would have laughed. If someone had said, “There couldn’t have been anyone else for you but him,” I would have laughed again. I might have even rolled my eyes. I’m sharing this because I know how hard it is to trust. To take your sticky hands off the steering wheel and let things unfold and emerge and allow people to show up and show you who they are, and to allow yourself to be heartbroken when the path takes a turn you didn’t want or expect, but also to allow yourself a tiny sliver of awareness and hope that maybe life has something in store for you you cannot even imagine. I’ve had an insane week. An amazing Valentine’s Day, an incredible birthday. My heart is so full. Have you seen baby goats dancing around? Google that if not, that’s how I feel. Take care of your precious heart. Let it break when it breaks, but let the breaking open you. Sending you so much love and some trust if you can muster it! If the posts are helpful, you can find my books here and my yoga classes and courses here. Transform your grief process in this yoga workshop led by yoga teacher Ally Hamilton and grief therapist Claire Bidwell Smith. Grief is a time for slowing down and learning to be present to our bodies and our process. Grief also requires great compassion and conscious awareness. 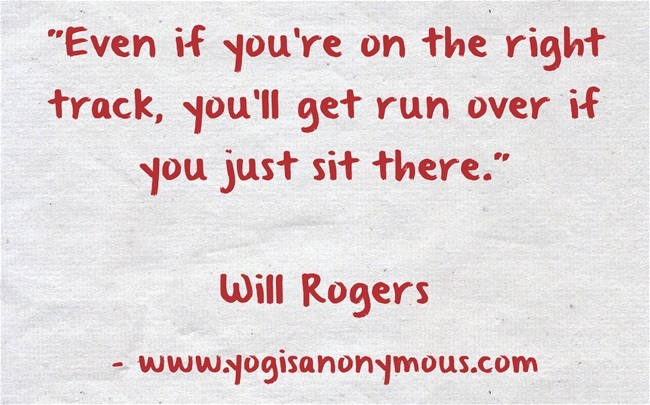 Yoga can help us get in touch with those realms. Through various poses, meditations and breath-work we will help you find grounded space in your grief journey and work towards healing. You’ll leave with tools to help you through those times when you feel overwhelmed or alone, so that you can comfort yourself and come back to center. Whether you’re going through a grieving process for a loved one, or you’re moving through the loss of a relationship, a job, a beloved pet, or a way of being that is no longer serving you, we want to offer support. 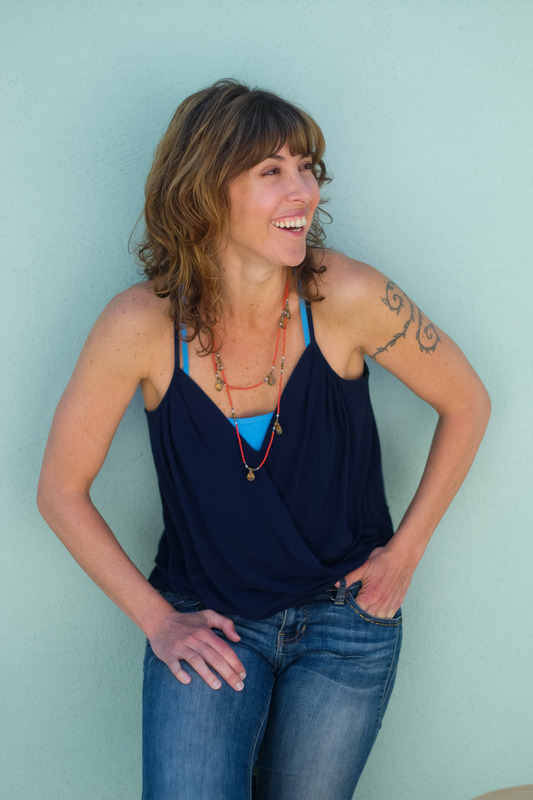 Ally Hamilton is a Santa Monica-based yoga teacher, writer and life coach, who streams online yoga classes all over the world. She’s the co-creator of YogisAnonymous.com, which has been featured in The New York Times, Yoga Journal, Self Magazine, Shape Magazine and The Wall Street Journal. She’s a regular contributor for The Huffington Post, a wellness expert at MindBodyGreen, and writes an almost-daily blog at blog.yogisanonymous.com. She’s the mama of two amazing kids and one energetic Labradoodle. She’s very excited about her first book, “Yoga’s Healing Power: Looking Inward for Change, Growth and Peace” due from Llewellyn Worldwide in 2016. Workshop details: This workshop is open to all. If you’ve never done yoga, or you are an experienced practitioner, this is for you. A very gentle flow followed by lots of restorative hip and heart-openers, breath-work, and meditation. Parking: There is a public parking structure right next door. First 90 minutes free, $1 for the next hour. A few months ago I received an email from a guy who was ending a relationship with the woman he’d been hoping to meet his entire life. They had a great thing going, looked at the world in a similar way, had no shortage of laughter, great times, passion, real conversations and the ability to relax with each other. They’d taken trips and met each other’s families (he met her entire family, she met his mom and sister, but he doesn’t speak to his dad), and everyone felt they were a great match. However, this man had grown up watching his dad abuse his mom verbally, emotionally and physically, and he couldn’t get past the fear that eventually this great thing he had would turn into that painful thing he knew; that one day he’d find himself throwing a pan at the head of this woman he adored as their kid stood there watching, or saying things to her that he wouldn’t be able to live with, or doing things that would make him feel terrible about himself. He remembered feeling helpless and enraged as a child, and throwing himself between his mom and his dad as he got bigger. He said he did have a temper, and had managed to keep it in check for the two years he’d been with his girlfriend, but he didn’t think he’d be able to do that for 60 years. So he was going to say goodbye to her to save her from a life of pain. (I could say a lot about how we get ourselves into trouble when we try to manage other people’s paths, but that can wait for now). The other day someone asked me to address the difference between sitting with your pain (non-reactivity), and processing it (liberation). I think this is a huge and important distinction. Sitting with your pain means you don’t run or numb out when uncomfortable and intense feelings arise, such as rage, grief, fear, shame, loneliness or despair. You don’t race out the door, pop a pill, have a drink, play a video game, go shopping, take a hit, open the refrigerator, pick up the phone in anger, or shoot off a fiery email. You just allow the feelings to arise and you observe them. You notice sensations in your body, like maybe shallow breathing, or that your shoulders are up around your ears, or there’s tension between your eyebrows, or a literal ache around your heart or deep in your belly. You let the feelings wash over you without acting, and with the understanding that they aren’t permanent and they aren’t facts. They won’t kill you, and you don’t have to act on them. They’re just feelings, and they will arise, peak and subside. By sitting with them you open to the possibility of learning something essential about yourself — the why of your rage, fear or shame — and by facing those feelings you own them, they don’t own you; they don’t run your show, you run it. You choose how you respond, you don’t allow yourself to lash out in a state of reactivity and end up with a mess you have to clean up. Working on becoming less reactive and more responsive is huge, it’s a life-changer. If you want to process your feelings — if, for example, you find rage is coming up for you all the time, then I would recommend that you find yourself a great therapist or coach, someone you trust and feel safe with, so you can dive into the source of what’s causing you so much pain. That’s as subjective an undertaking as finding a great yoga teacher, someone who resonates with you, and with whom you feel comfortable. I know so many people who say they tried therapy once (or yoga) and it “wasn’t for them.” You may have to call a number of people to figure out the right person to work with. Having someone who can kindly hold up a mirror for you so you can see your pain clearly, but also your light, also your power, can be so helpful. Combining that with a consistent yoga practice so you can work on feeding a loving voice while you’re on your mat is really powerful. The other thing I’d highly recommend is seated meditation. When you sit, and there’s nothing coming in, and nothing going out, you start processing what’s inside you. It’s kind of like emotional fasting, not that there’s an absence of emotion, just that the emotion is arising from deep within you. Eventually, if you stick with a seated meditation practice, you become more interested in the fact that you’re thinking, and not in the thoughts themselves. Eventually you find some peace in the space between your thoughts, which will increase if you stick with it. I’ve been practicing Vipassana (insight) meditation for almost two decades, you can check it out at dhamma.org if you’re interested. The thing is, there’s no easy way around this stuff. Whatever your pain, you’ll have to go through it, but there are so many tools and healing modalities that help. You just have to explore and figure out what’s going to be helpful to you on your path toward healing. For me, yoga, seated meditation and therapy are a great mix, along with reading and writing. For you, it may something else, but there’s no reason your particular frame of reference has to rule your life. You can only know what you know, right? Whatever you’ve been through makes up your frame — the lens through which you look at the world and process data. Sometimes that lens is bent, or cracked, or covered over with a thick layer of despair. You work with your lens so you can see clearly. That’s the liberation I mentioned above. It’s not the that pain goes away, it’s simply that you recognize it when it comes up, and the force of it has been so diminished by your work, it doesn’t rule your life anymore. You don’t assume that what you’ve known is all there is. You have the freedom to imagine something else for yourself, to create something that maybe you’ve never known or seen, but you know in your heart is possible. You have the power to forge a different path. If the posts are helpful, you can find my books here, and my yoga classes and courses here. If you’d like to sign up for one-on-one online coaching with me, please email me at ally@yogisanonymous.com for more information. Awareness is the first step, but action is what’s needed if you want to see a shift happen. People often get stuck at the level of identification, meaning they can tell you in great detail why they are the way they are, but that’s as far as they’ll go. The past experiences explain and justify the current behavior. Except they don’t, because there’s always space for growth, and for free will. Healing requires openness and honesty and a willingness to not look away, even when you must stare at the center of your deepest pain. It also demands vigilance, especially when you detect unhealthy patterns in your life. It means re-training yourself to feed a loving voice, and to starve any tendencies that make you feel less than, or unworthy of love. We are always in process. Knowing yourself well is a gift that makes it possible to “catch yourself” sooner, so you can make healthy decisions based on how things are, and not how they once were. To move forward with love and trust, even when the road is dark and slick and we’re traveling with no map. In order to proceed in a direction that’s going to lead to happiness and peace, you’ll have to avail yourself of some tools that give you the power to pause and breathe when you feel triggered. Yoga practice is excellent for that. Healing also requires your creativity, and a willingness to let go of the chains that are holding you back. Sometimes we’ve been attached to a sad story for so long, we can’t imagine what would happen if we just released it. If we weren’t blaming other people or circumstances for our unhappiness, what would we do with our time, and how would we explain our lack of joy or purpose? These are tough questions to face, and getting support is a really good move if you’re in this position. The combination of yoga, seated meditation and therapy worked for me, but you may need other tools. That part is personal, and you’ll have to figure out what you need by trying different things, and staying with it until you find something that resonates with you. But that’s a much better use of your time than explaining that your current abandonment issues are based on a time, twenty years ago, when your dad left you and your mom. Identification is great, but you have to add excavation on top of that. Is it your mom’s and dad’s story, or is it your story now? Posted on December 28, 2012 Tags attachment authentic living freedom grief loss meditation therapy yogaLeave a comment on Get Up!